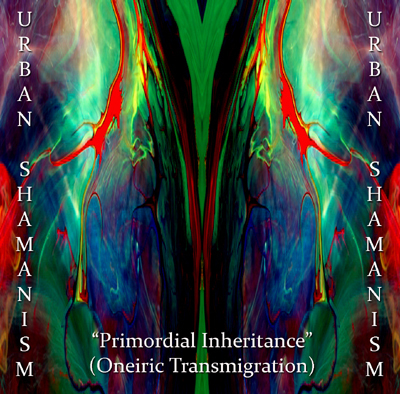 Urban shamanism is the project of Edgar Kerval. On this ambient journey he reveals the transition of his soul through a primal state of consciousness via ritual trance explorations. Through the evocative transformation of diverse field recordings, voices, subliminal atmospheres he creates a suggestive piece of inner exploration, a return to a primeval state of consciousness. The 3 ritual trance pieces here are focused on deep levels of shamanic gnosis,using sounds as primordial elements to travel vast astral words searching for our primigenian inheritance through a prolonged state of trance via suggestive sounds, veiled with the enigmatic passages and mysterious nature of oneiric transfigurative rites of the soul, floating in the deepest void of its own nature.